There are certain calls that you receive that when you hear the scenario your heart drops and last week I received a call from a walker who had found a poorly Canada Goose on the bank of the River Cuckmere. The only problem was they were in the middle of nowhere. With these sort of jobs you know they are not going to be quick. There’s is no easy access to the location and you need to walk quite a distance to find the casualty. The exact location can be difficult to find when you are told it is near some bushes just the other side of a field full of cattle and sheep. You are never sure if the casualties will still be there. You also know that you will have to carry the potentially heavy bird all the way back to the ambulance too. It was a nice day, the sun was shining and it got me out the office and away from the paper work. I drove down to Exceat and parked by the pub and grabbed a pole, net and pillow case. I walked up the river for what seemed like ages. Luckily the finders had sent me some photos of the location. So I had to keep stopping and checking the views to see if I was in the right place. I got to the point where I felt I must have got too far, so decided to turn round and head back. Approaching from this direction the views seemed to make better sense so the found the bush and log shown in the photos I had been sent. The goose was clearly not in the same place as where it was shown I the photo. I started hunting round but after about 10 minutes I messaged the finder to say I couldn’t find the goose. As soon as I turned round, as if my magic, the goose was sat there tucked under one of the bushes. How I had missed that the first time round I don’t know. To my relief I was able to catch the bird without any problems and get him into a pillow case and secure for the walk back to the ambulance. I was relieved that the bird was a fledgling goose so didn’t weight quite as much as an adult. I did get some funny looks from walkers as I approach them carrying a goose under my arm, as well as from motorists as I tried to cross the river bridge and road back to my ambulance. Once there I was able to give medication and drive the poor bird up to WRAS’s Casualty Centre. We checked the bird over and discovered it had a lump of grass stuck in its airway causing a partial obstruction. This was removed and additional medication is given after speaking to one of our vets. 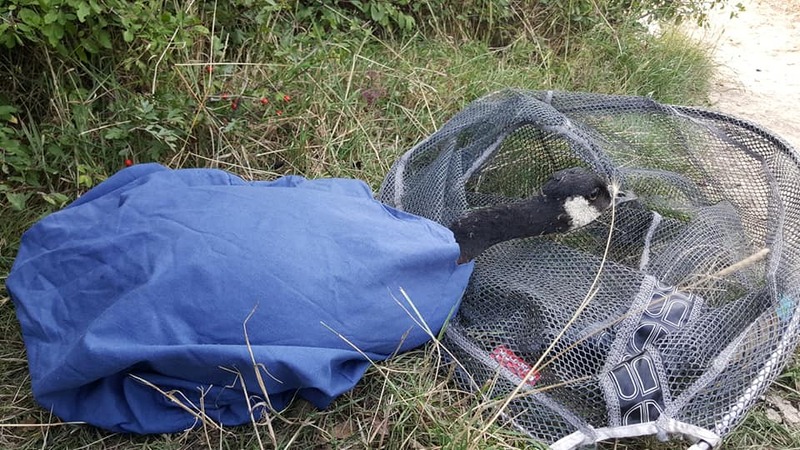 Due to how underweight the bird is and the fact that they can’t be released back to the wild except under licence, the bird was taken up to the Swan Sanctuary at Shepperton. Our Orphan Team have done amazingly well this summer and one of their best achievements has been to rear these two barn owls. One had an injured leg. It is unusual for us to have them in care, let alone see babies. This year we have certainly had more than our usual share. 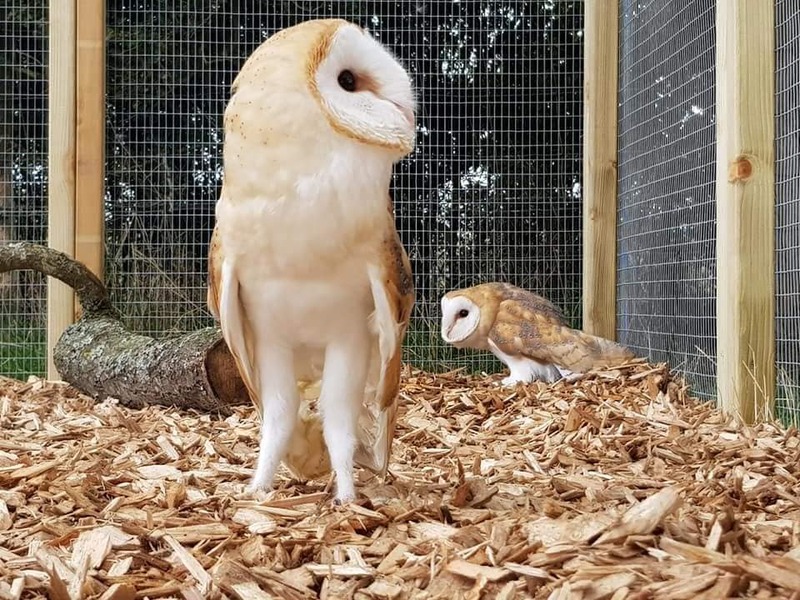 They are now in an outside aviary at their release location and it won’t be long before we open their door and let them come and go for a while and head back into the wild to help improve our local Barn Owl population. 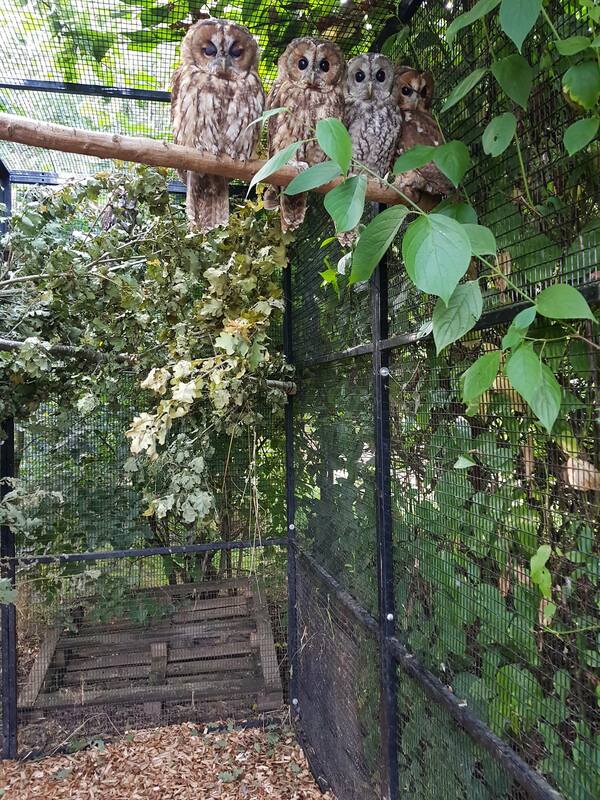 Our hand reared Tawny Owls have been released this week. They have also been in an outside pen at a release site and this week, the hatch on their pen has been left open and they are flying in and out and being supportively fed at the moment to help with the transition into the wild. Rescuers have had several early morning calls about casualties. Including to check some foxes trapped between a wall and garage next to Lismore Court Eastbourne. Ladders were used to reach the top of the wall where I could then check where the foxes were. The gap between the wall and garage was almost completely filled in and no foxes could be found. Very strange. The caller was very apologetic and genuinely surprised. So we think the foxes must have just been playing on the roof. This was followed by a call down to Eastbourne seafront to an injured gull. However after a search of the area no injured gulls could be found. We are getting a lot of calls about limping gulls at the moment and more often than not by the time we arrive the bird has flown off or disappeared, especially when people are not able to wait and keep an eye on them.